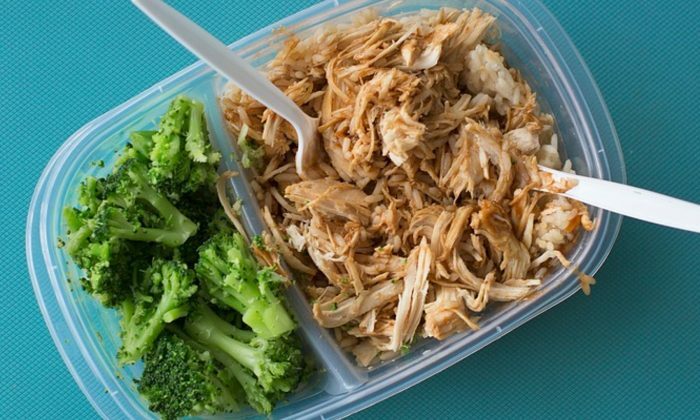 An Indiana school district is turning catering leftovers into take-home meals and making sure children in need have enough to eat during the weekends. Elkhart Community Schools provides students with breakfast and lunch every day but on weekends some children may be going without. In an elementary school pilot program, South Bend-based nonprofit Cultivate is rescuing food that’s cooked but never served. It’s making individual frozen meals out of it that are then served to a small group of children. The pilot program is supported by the Chamber of Commerce’s Leadership Academy Commerce. Cultivate takes well-prepared food, combines it with other food and prepares individual frozen meals out of it. The pilot will serve 20 children and each will get eight individual frozen meals every Friday. Melissa Ramey from Chamber Leadership Academy said the pilot is making a big impact. “I am proud of that. It was heartbreaking to hear that children go home on the weekends and that they don’t have anything to eat,” she said. The program is expected to make a big impact on the lives of those who receive the food and the Elkhart school system is looking forward to expanding it to other schools. More than 12 million children face hunger in the country. A child facing hunger will struggle in school and beyond. Feeding America said they are more likely to repeat a grade in elementary school, experience development impairment and have more social and behavioral problems. Children struggling for food come from struggling families. “A family of four facing hunger may be in need of 36 additional meals a month simply because they don’t have money to buy enough food,” said Feeding America. Eighty-four percent of the families served by Feeding America buy the cheapest food instead of healthy food and 21 percent of children in households with the risk of hunger may rely exclusively on charitable organizations.